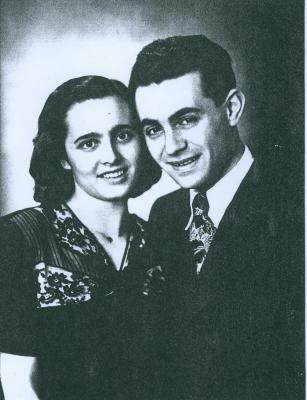 First formal photograph of Anna and Paul Ornstein after the War. Taken in 1948 in Heidelberg at the wedding of friends, Anna and Paul called it their wedding photo. From the personal collection of Dr. Anna Ornstein.